Today's episode literally dropped into my inbox a few days before the interview. And it was too amazing to turn down. 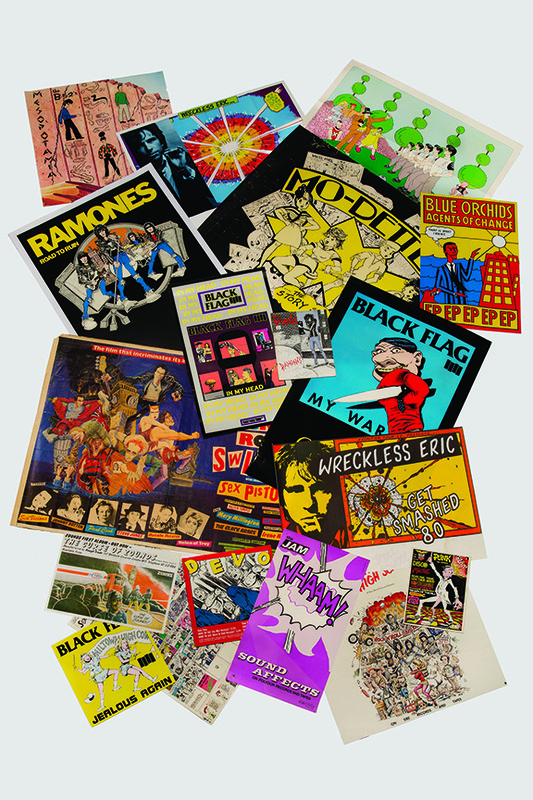 So today on Obsessed show, we're speaking with the Director of the Cranbrook Museum, Andrew Blauvelt, about his origins, punk design, and this massive collection that is soon to be featured in the Museum of Art and Design. Today on Obsessed Show I'm chatting with Haraldur Thorleifsson. 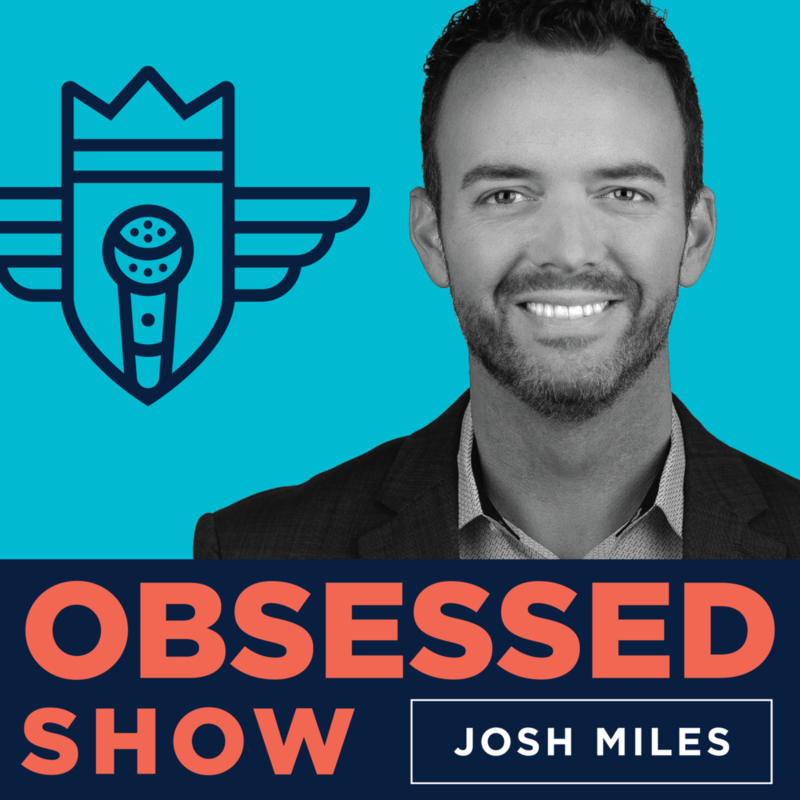 Today on Obsessed Show we’ve got the author of Win Without Pitching, Blair Enns. Blair Enns is the author of The Win Without Pitching Manifesto and Pricing Creativity: A Guide to Profit Beyond the Billable Hour. He co-hosts, along with David C. Baker, and the podcast 2Bobs: Conversations on the Art of Creative Entrepreneurship. Based in the remote mountain village of Kaslo, British Columbia, Canada, Blair lectures throughout the world on how creative professionals can win more business at higher prices and lower cost of sale. Enquire here about having Blair speak at your event. I met Blair more than ten years ago, and his teaching had a major influence on how I pursued new business for my former agency. And you can learn more about Aaron Samihorn here. Josh records live with Jenny Tod, Nate Heck, and Andy Keller at IUPUI. I'm starting a new :59 Second Friday series on YouTube, and I'm currently building out new episodes all about personal branding. So if that sounds like something you'd like to check out, you can subscribe over at YouTube.com/joshmiles- I really appreciate every single subscriber, so thanks for hitting up youtube.com/joshmilesand hitting subscribe. And last Friday, I released an episode all about how I recorded this episode of Obsessed With Design. Enjoy! Today on Obsessed with Design I'm chatting with Anna Saraceno, Product Designer at Trello. Anna is well versed in leading UX and product teams to effectively frame and prioritize problems, as well as explore, test, and scale user-centered solutions. I'm also curious to discuss how Anna brings soft skills to the table, including directed empathy, curiosity, diplomatic leadership, communication and presentation skills. SO WITHOUT FURTHER ADO, Please enjoy my conversation with Anna Saraceno. My daughter teaches me how to do the FLOSS DANCE like backpack kid. Today on Obsessed with Design I'm chatting with the founder of Atelier home design app, Andrea Orrego. Her mission is to expand the horizon of Design and make it reachable in every community in the world. Burnout, buyouts, and motorcycles. And the heart attack that started it all. Kelli and I talk about her unexpected opportunities in reality television and the personal-branding power of cutting your hair. I had a blast chatting with Kelli, and I think you're really going to enjoy learning more about her story. Do I Look Skinny in this House? An interaction designer and recent graduate of University of Washington, Natalie Lew is passionate about the intersections of design and philosophy. Her interdisciplinary background in design has been the inspiration behind her Adobe Creative Residency project. The Adobe Creative Residency aims to inspire the next generation of creators - from graphic designers, to photographers to UX/UI coders by giving talented individuals a chance to spend a year focusing on a personal creative project, while sharing their experience and process with the creative community. As part of Natalie’s Creative Residency project, she has created a toolkit of resources to make user experience design more accessible and available to the creative community. Additionally, Natalie has partnered with Donors Choose, a nonprofit organization that allows individuals to donate directly to public school classroom projects, giving them UX tools and ideas of how emerging technologies could be applied to the work they currently do. In the next several months Natalie plans to finish her work with Donors Choose and continue pursuing industries she is passionate about creating solutions for, like citywide climate change initiatives and social media filter bubbles.